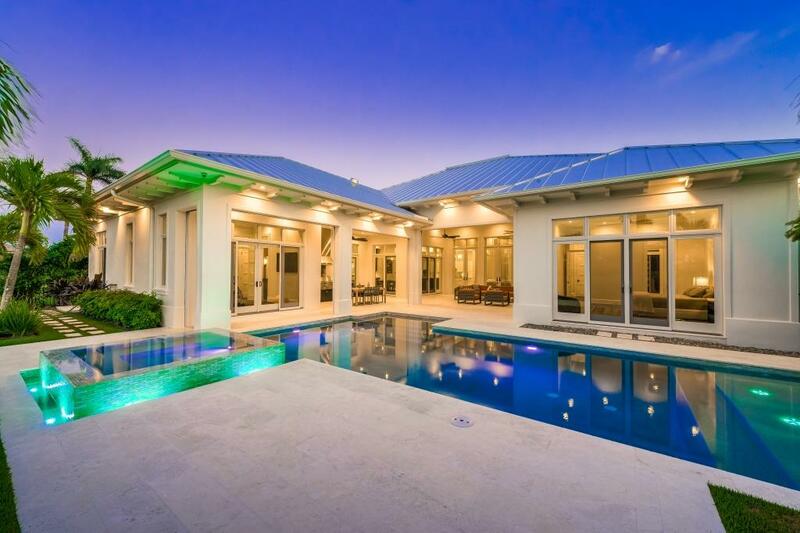 The latest project by Calusa Bay Development, builder Knauf-Koenig Group and architect Stofft Cooney in Pelican Bay has been revealed. Ready for immediate occupancy, this custom estate home at 705 Hollybriar Lane has 5,352 square feet under air and is set to take advantage of its views and allow the homeowner to embrace indoor-outdoor living. 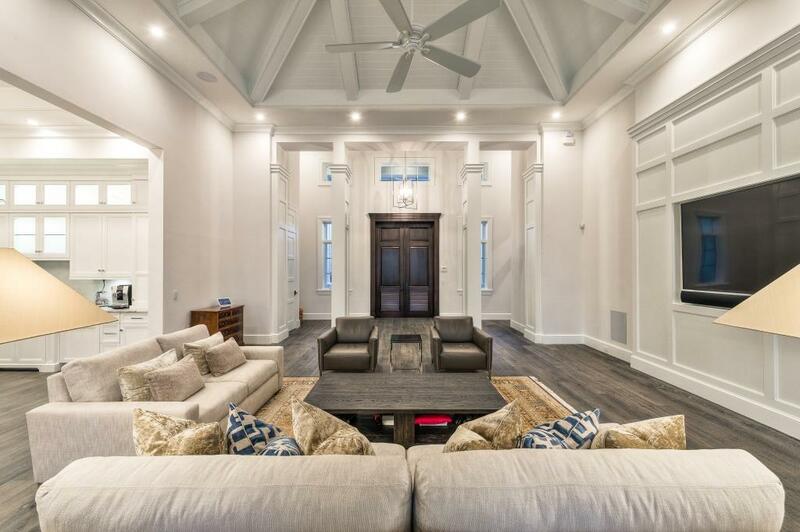 This estate home features an open concept floor plan with three living areas, Knauf-Koenig Group’s signature woodwork and beams throughout, and a vaulted, tongue-and-groove cypress ceiling in the great room. Four bedrooms plus a den, six bathrooms and a three-car-garage round out this home situated on a cul-de-sac. As you enter through the Sapele mahogany custom front door by Davanti is the living room. A glass wall allows the homeowner to take in the views of the 40-foot long lap pool flanked with fire bowls, adjoining spa and the lake beyond. A feature wall, with textured wallpaper and custom woodwork, can house a piece of art or a television. "Now on our eighth project in Pelican Bay, we had to add some new characteristics to our design arsenal and this feature wall exudes just that," describes Randi Scott, design director for Calusa Bay Design. With an open floor plan, the home flows easily from the living room to great room concept of kitchen and family room. 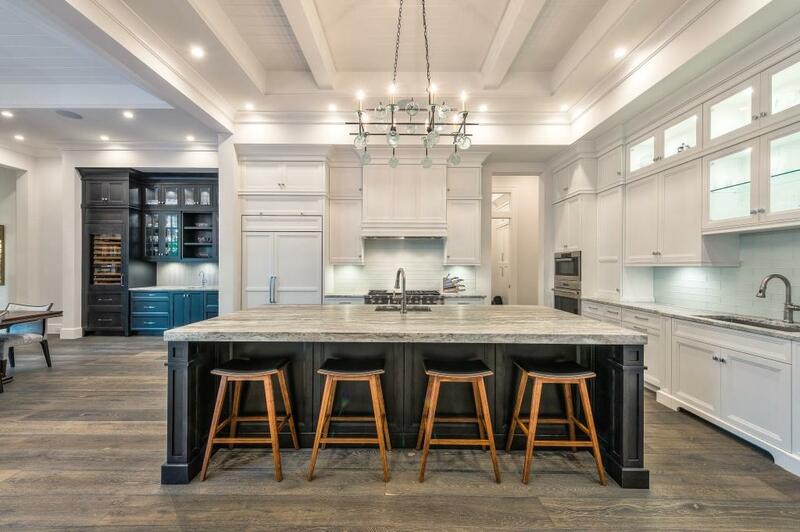 The chef’s kitchen, butler’s pantry and separate bar are set up for entertaining and feature floor-to-ceiling cabinetry, quartzite countertops and Sub-Zero/Wolf appliances. The family room leads to the outdoor living area complete with remote controlled screens and shutters, outdoor kitchen, al fresco dining and fireplace. Three guest rooms with en suite bathrooms, as well as a master suite were designed as a retreat and relax after a day at the nearby Waterside Shops or at Pelican Bay’s private beach. The master suite features pool and lake views from the bedroom, his and her closets, and a spa-like bathroom with Kohler fixtures and a freestanding cast-iron soaking tub. 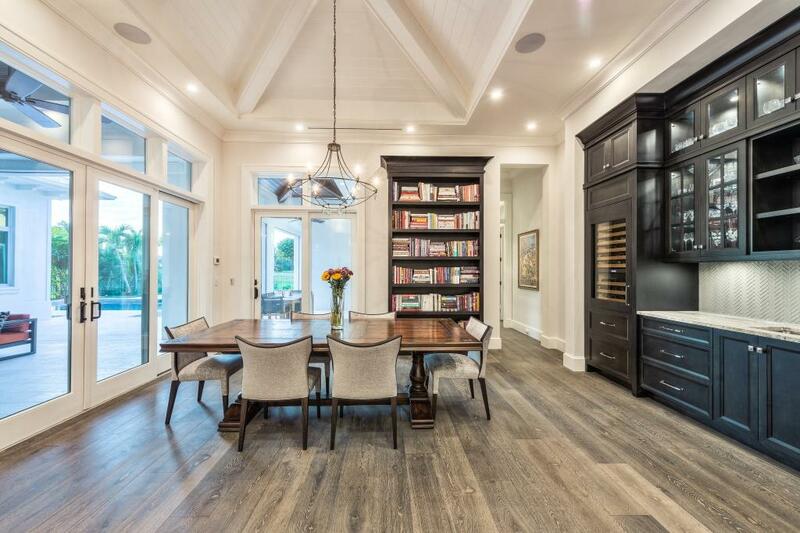 High-end finishes and upgrades were installed including hidden air-conditioning vents, Vantage lighting control system, wide plank Italian oak floors, Andersen 400 series windows and a Solar Innovations folding glass wall. 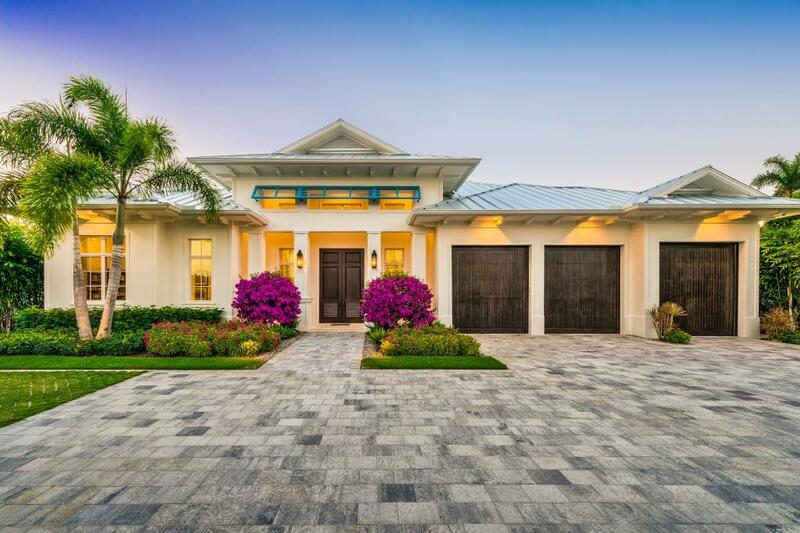 The home is finished with a classic contemporary furnishing package by Calusa Bay Design. This home was under contract in less than 30 days. Calusa Bay, Knauf-Koenig Group and Stofft Cooney Architects have multiple projects in the works.